Appleby Fiduciary Business [AFB] has welcomed four client directors in Bermuda. James Bodi, Janita Burke, Sarah Demerling and Alison Dyer-Fagundo were previously corporate partners with the law firm Appleby, prior to the management buyout of AFB backed by private equity firm Bridgepoint, which completed on December 31. 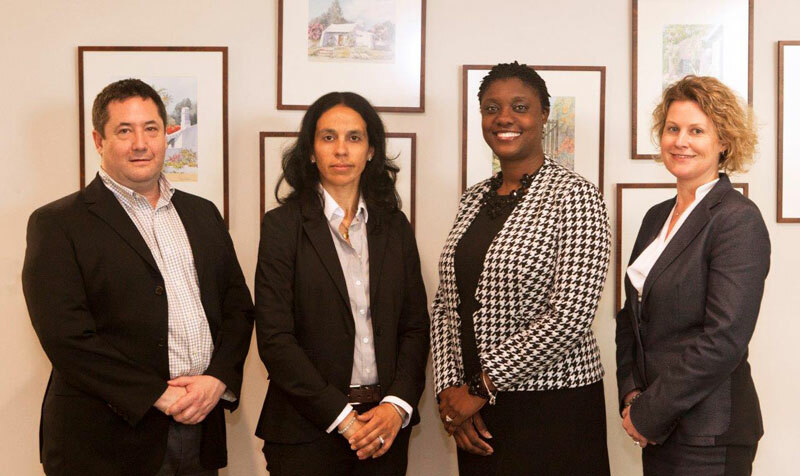 “We are so fortunate to be able to welcome into AFB four such talented and diversely experienced colleagues as James, Janita, Sarah and Alison,” said Rory Gorman, managing director of AFB’s Bermuda office. AFB employs more than 350 staff across nine offshore jurisdictions, with a team of 90 employees in Bermuda. James Bodi specialised in corporate finance and capital markets, with particular emphasis on the shipping, aviation and natural resource sectors. Janita Burke focused on corporate and commercial matters with an emphasis on non-contentious insurance work. She has advised a number of Fortune 500 companies on a range of areas including regulation and financing of insurance companies, formation of captive insurance companies, public and private offerings of debt and equity securities and segregated account structures. Sarah Demerling specialised in the asset management and investment funds industries, as well as the convergence of insurance and financial markets. She has been involved in the financial services industry in Bermuda for over 14 years and has had extensive experience in dealing with offshore structures. Alison Dyer-Fagundo has had extensive experience in private equity transactions, derivatives, public and private company M&A activity, equity and debt markets and non-contentious restructuring, acting as liquidator for members’ solvent liquidations. She also advised on matters of compliance and corporate governance. AFB is working with the client directors on many new business developments in its target markets as the company ramps up to the launch of the new brand in April.